College Staff said demands for better pay has been ignored by the new government since April (Photo Credit: Gambia College). The Gambia College Academic Staff Association begins a sit-down strike today, Monday 18th September, over demands for better working conditions which includes demands for a pay rise. They outlined and presented their demands to the new government in April 2017. Andrew AD Gomez, Chairman of The Gambia College Academic Staff Association decried of the deplorable working conditions of service of the academic staff of the Gambia College. He said the government failed to respond to their demand of graduate and retention allowance, review of their salary structure to be at per with other sister tertiary institutions, and filling of all vacant positions at the college. 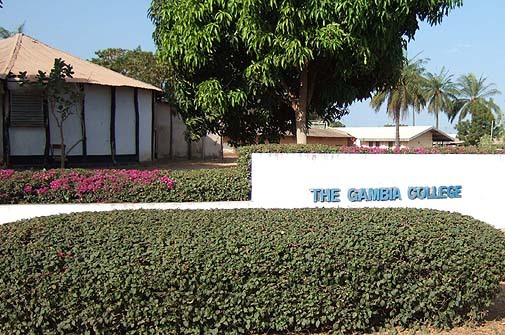 They also wan an increment of teaching allowance from 30 to 75 percent, confirmation of the service of all heads of departments of the schools of the college, and representation of the academic staff association at The Gambia College Senior Management Team (SMT) and the Governing Council. These demands, he said, were outlined in their letters to the Gambia College council and copied to the ministry of higher education, research, science and technology (MoHERST) dated 25th April 2017. According to Mr Gomez, the academic staff association has exhausted all diplomatic means to get these concerns addressed both at council, and Ministry of Higher Education, Research, Science and Technology (MoHERST) levels. “Written communications started years ago and promises were made by MOHERST but prove to be empty. Timelines were equally given but they expired and no explanations were advanced by the Ministry. Reminders were conveyed to the Ministry and were also ignored. “Based on the nonpayment of our graduate and retention allowance and the unexplained negligence of our demands, the Academic Staff Association has agreed at a general meeting convened on the 13th September 2017 that a sit-down strike be observed as of 18th September 2017 until the demands are met,” he said.